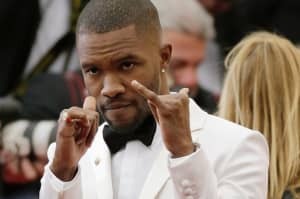 In a new conversation with Pitchfork, the producer Malay spoke briefly about Frank Ocean's highly anticipated follow-up to Channel Orange. "When he's ready, the world is gonna get it," Malay noted. "It could be tomorrow… well not tomorrow but maybe a month [laughs]." "He's been working super hard," the producer continued. "I feel like he's working harder than he's ever worked in his life. I'm excited for everyone to hear it. I think people are going to be pleasantly surprised, for sure." Earlier this year, Ocean reportedly hit the studio with Rich The Kid. Here's everything that anxious Ocean fans need to know about his next album. A rep for Frank Ocean did not immediately respond to a request for comment.